A host of world football legends have congratulated Albion on their promotion to the Premier League. 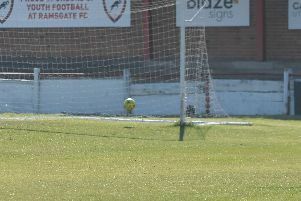 The Seagulls sealed a return to the top flight of English football for the first time in 34 years yesterday. Players and fans celebrated long into the night and many former stars were quick to pay tribute to Brighton on Twitter. German World Cup winner Jurgen Klinsmann tweeted: "Congratulations BHAFC!! FANTASTIC JOB CHRIS HUGHTON and the entire Club!!" Former England striker and Match Of The Day host Gary Lineker said: "Congratulations to @OfficialBHAFC on winning promotion to the @premierleague. Look forward to introducing you on @BBCMOTD next season." Arsenal legend Ian Wright wrote: "Congratulations Brighton and in particular Chris Hughton. Can't keep a good man down." Tottenham legend Ossie Ardiles said: "Big, very big congratulations to Chris Hughton and the boys at Brighton FC. Now We want to see you Champions!!!" Former Albion loanee and Manchester United star Jesse Lingard tweeted: "Congratulations to @OfficialBHAFC on your promotion. Had a great time at your club and see you next season." Former Albion left-back Wayne Bridge said: "Buzzing to see @OfficialBHAFC promoted to the @premierleague. Great club, great fans, great city.. wishing you all the best next season." Finally, Seagulls legend Bobby Zamora said: "Congratulations @OfficialBHAFC amazing now part of @premierleague looking forward to coming to the Bristol City game to celebrate."